Almost one in seven children living in Highland Park in 2016 had high levels of lead in their blood, according to a new report from the state's Childhood Lead Poisoning Prevention Program. 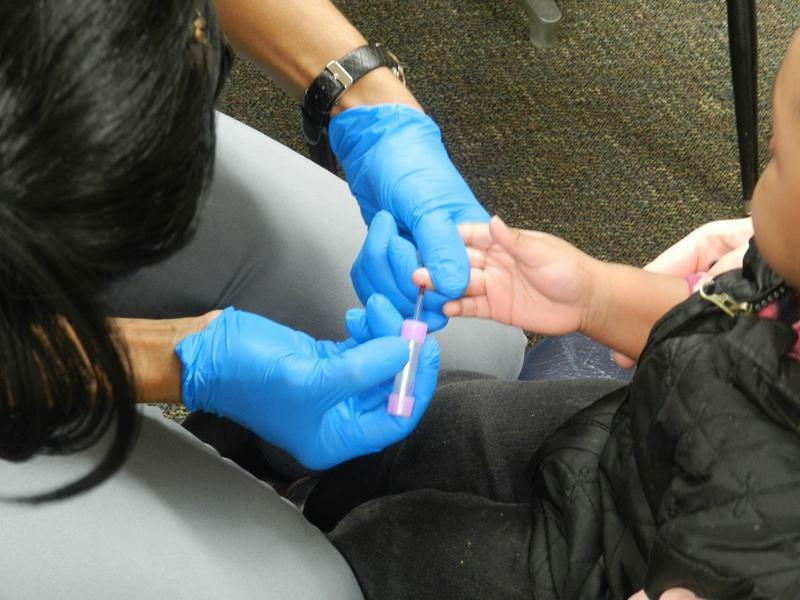 The study looked at nine different cities with historically higher-than-average rates of children with elevated blood lead levels (EBLLs), including Highland Park, Detroit, Grand Rapids, Flint and Lansing. Federal guidelines state that for children under six, five micrograms per deciliter is considered a high blood lead level, though no amount is considered safe. Highland Park is a small city with a lot of vacant land. Now, it's trying to use that vacant space as an asset to lure developers. At just under three square miles, the city is basically an enclave within the city of Detroit, along the central Woodward Avenue corridor. A once-prosperous city built on the backs of automakers, Highland Park is now close to economically destitute. Highland Park leaders postponed an announcement Tuesday about the city’s troubled water system, citing progress in talks with Governor Snyder’s office. Highland Park’s water troubles go back at least to 2012. That’s when the Michigan Department of Environmental Quality ordered it to shut down its water treatment plant for repairs. But the plant stayed shut down. That was followed by botched billing collection, spiking water bills, and water quality issues. 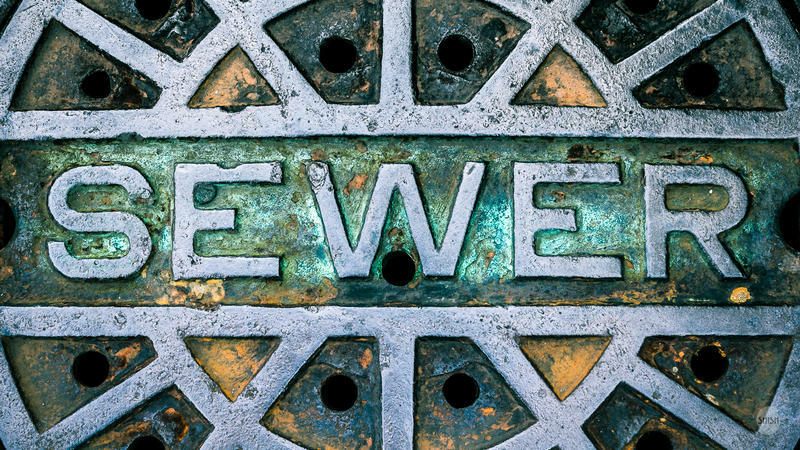 Sewer rates are going up for Detroit's suburbs by nearly 5 percent – and most of that is to cover Highland Park's $30 million debt. The Great Lakes Water Authority says it has to raise sewer rates on its suburban customers by 4.9% starting July 1. Without Highland Park's debt, the increase would have been 1.7%. Last year, a court ruled Highland Park had to pay up. But the city appealed that ruling, and the case still hasn’t been settled. Southeast Michigan’s new regional water authority is asking for Governor Snyder’s “personal intercession and involvement” to resolve a billing dispute with the city of Highland Park. Highland Park now owes the Great Lakes Water Authority nearly $30 million in water and sewer bills. In a letter to the Governor last month, the GLWA board said the Authority’s other customer communities are growing “concerned and frustrated” as they’re forced to pick up Highland Park’s tab. One of the most significant sites in the history of Detroit – and the modern world – has also been one of the most sadly neglected. Not only that, it isn’t even in Detroit. Every day, thousands of commuters drive by an old red-brick building on Woodward Avenue in the little enclave city of Highland Park. You need to know three things about Highland Park. It is a separate city embedded in northern Detroit. Economically, it is even worse off. But it was the place where the twentieth century was created – in this old red brick building, and in the remnants of a giant factory behind it. A hundred years ago, this sturdy, Albert Kahn structure was the world headquarters of the Ford Motor Company. Millions and millions of Model Ts, the most important car ever created, rolled off assembly lines here, before Ford moved to the Rouge. It was here where cars were made affordable for everyone, and where the world was put on wheels. Gov. Rick Snyder has confirmed his decision that Highland Park faces a financial emergency. The small city located within Detroit’s borders is no stranger to financial troubles. 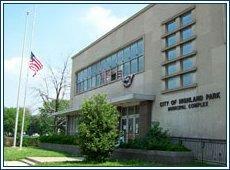 The Michigan Department of Treasury first reviewed Highland Park’s finances in 1996. From 2001 through 2009, it had an emergency financial manager. LANSING, Mich. (AP) - Review teams have found financial emergencies in two more Michigan communities. The state treasurer's office says Governor Rick Snyder has 10 days to make a decision on the financial conditions of Royal Oak Township in Oakland County and Highland Park, near Detroit. The reviews are part of a process that could lead to the appointment of emergency managers. This afternoon, the public will have an opportunity to address the state panel looking into Highland Park's finances. Governor Snyder appointed the review team earlier this month after a preliminary review found the city in "probable financial stress." Cities across Michigan are closely watching what happens to Detroit in bankruptcy court this week. More than a dozen Michigan cities and school districts are currently under some form of state oversight. The mayor Highland Park is nursing a gunshot wound. Numerous media outlets are reporting Highland Park mayor DeAndre Windom was just an innocent bystander when a man pulled a gun at a Detroit nightclub Saturday night. Windom was apparently shot in the leg. The alleged shooter was taken into police custody. Windom’s injury does not appear to be serious. A state financial review board gave one school district a reprieve, but steered the city of Highland Park back toward a state takeover. 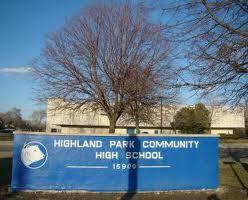 Highland Park has been under some form of state receivership since 2002. The new review was required by the new emergency manager law. Highland Park Mayor Deandre Windom said he still hopes to convince the state to accept his city’s deficit elimination plan. “We’re going to sit down and explore our options and make sure we’re all of one accord and make sure the citizens of Highland Park are aware of us moving forward,” he said following the meeting of the state Emergency Loan Board. The next step is for another team of financial experts to conduct a deeper review of the city’s finances before making its recommendation to Governor Rick Snyder. 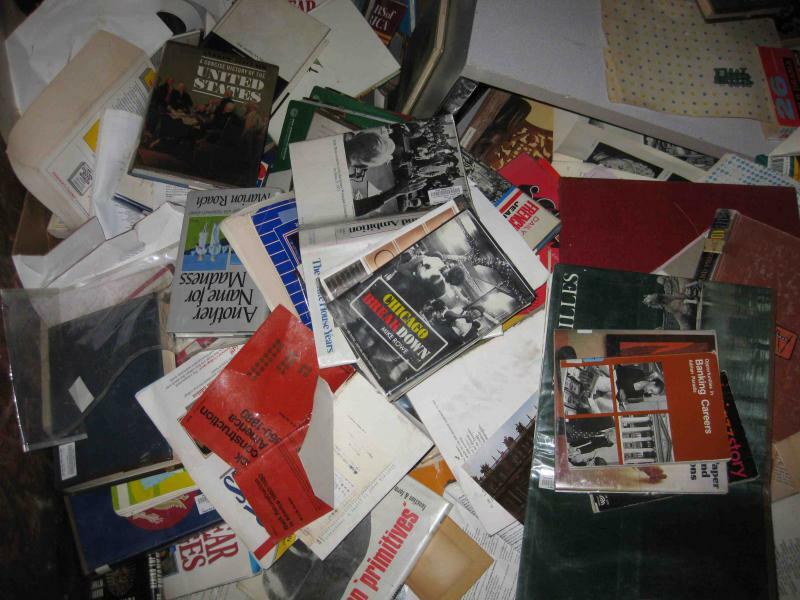 Books at Highland Park high school get tossed out - How could they have done it differently? There has been public outrage ever since a collection of African-American history materials were found in a dumpster outside Highland Park's high school. The ACLU of Michigan was one of the first to report the incident. An interview with historian Paul Lee. There has been a firestorm of protest in Highland Park after the discovery that a large collection of history books, film and tapes from the city's high school was tossed in the trash. Some 50 protestors gathered outside the high school in Highland Park, a member of the school board quit, and several people climbed into dumpsters to retrieve what they could. The protests focused not only on the discarded books but on the way Highland Park's emergency manager Donald Weatherspoon is running the district. One of those people who searched through the dumpsters to retrieve as many books as possible is Paul Lee. He is a Highland Park resident and an historian who helped build the collection of black history books, videos and movies. Should garages be able to be turned into living spaces? It's happening in Dearborn and a possible clampdown in city ordinances is causing concern. Plus, how much land should we preserve for our kids and grandkids? We took a look at one group that's successfully saving northern Michigan's natural treasures. And, we spoke with a former Marine sniper-scout who's now a student at Michigan State University. He’s made a film to honor his fallen comrades. Also, Pat Kelly, the granddaughter of the longest-serving lighthouse keeper on South Manitou Island, joined us to talk about the special lighthouse tour happening tomorrow. First on the show, there has been a firestorm of protest in Highland Park after the discovery that a collection of history books, film and tapes from the city's high school was tossed in the trash. The protests focused not only on the discarded books but on the way Highland Park School District's emergency manager Donald Weatherspoon is running things. We started by turning to one of those people who searched through the dumpsters to retrieve as many books as possible. He is a Highland Park resident and an historian who helped build the collection of black history books, videos and movies. Paul Lee joined us today from Highland Park. That’s allegedly how Highland Park police officer Price Montgomery prefers to be addressed, at least when he’s soliciting $10,000 bribes, or trafficking drugs while wearing his firearm and police badge. At a press conference Friday morning, the FBI broke the news that it’s arrested four Highland Park police officers, including Montgomery. They’re in custody and being charged with armed drug trafficking and taking bribes. If convicted, they could face up to 55 years in prison. After years of legal wrangling, Highland Park’s former emergency financial manager will go on trial for alleged embezzlement next year. 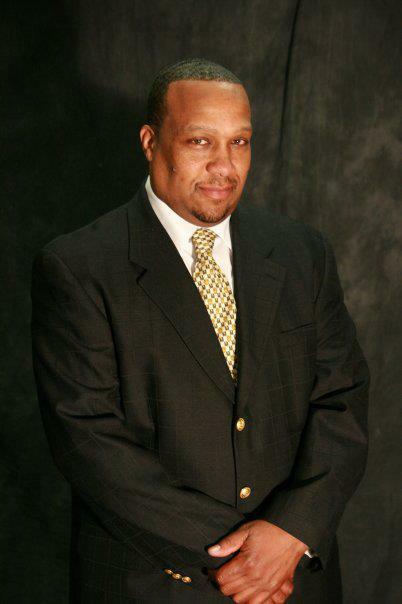 A Michigan Supreme Court ruling this week reinstated charges against Arthur Blackwell III. Blackwell was emergency financial manager from 2005-2008. He’s accused of writing himself $264,000 in checks from city funds. Highland Park’s mayor say the city’s water treatment plan will remain shut down indefinitely, while crews are working to repair serious problems that have plagued the facility for months. 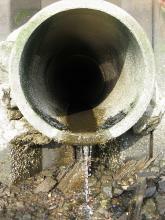 Problems range from accumulating sludge to non-functioning valves and water meters. Windom says water quality has not been affected, but the problems are so pervasive that he shut the plant down pre-emptively. Highland Park mayor DeAndre Windom says while the repairs are ongoing, the Detroit water and sewerage department will provide water directly to Highland Park residents. Crowd funding is helping to light up Highland Park's streets. Last year, D.T.E. energy removed 13 hundred street lights, poles and all, when the city was unable to pay its light bill for over 5 years. So A. J. O’Neil, a café owner, decided to lead a group to buy solar streetlights that would have little ongoing expense. "I think", he says, "that Highland Park is going to show that providing lighting without that monthly bill is doable in a urban environment." The ACLU filed a lawsuit yesterday that may change the entire conversation we’ve been having about education, in this state and perhaps beyond. 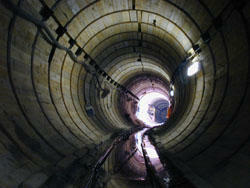 Their focus is on the battered and impoverished little enclave city of Highland Park, which is embedded within Detroit. The Michigan ACLU has filed what it calls a “groundbreaking” lawsuit against the Highland Park school district, and state education officials. At issue: The state’s responsibility to make sure every child can read. State law says school districts must provide any special assistance “reasonably necessary” to bring a child up to grade level in reading. 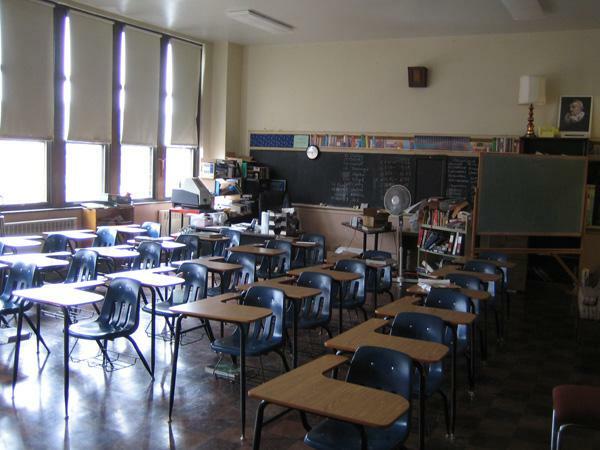 DETROIT (AP) - Teachers in three school districts run by the state are laid off with many not knowing if they'll have jobs when classes begin. Charter operators have yet to be selected to run new systems in Muskegon Heights and Highland Park. 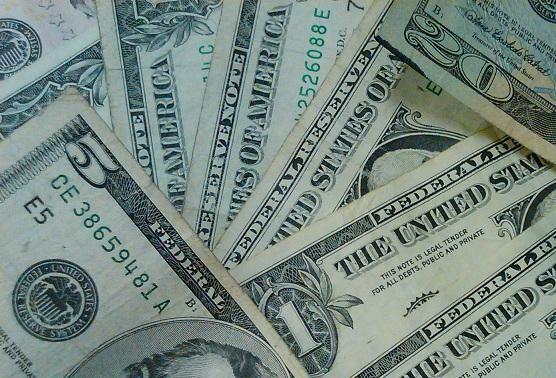 State-appointed emergency managers have shopped Muskegon Heights in West Michigan and Highland Park near Detroit to charter operators as part of plans to pull the cash-strapped districts from near-fiscal ruin. DTE Energy Co. says about 175,000 of its customers were without power Thursday morning after a new round of damaging thunderstorms made its way across the state, knocking down trees and power lines. Since Tuesday, DTE says about 300,000 of its customers have been affected. The National Weather Service says wind gusts above 60 mph were reported as storms crossed the state Thursday. The Flint Journal reports 23,800 Consumers Energy customers without power in Genesee County. WSGW-AM reports 5,500 without power Midland and Gladwin counties. 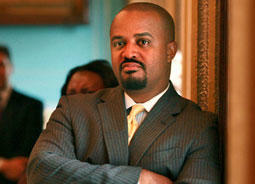 Arthur Blackwell II is accused of taking $264,000 in payments that were not authorized by state officials. The appeals court decision reverses a lower court ruling - which had dismissed the case. The lower court agreed with Blackwell - who said as the city's emergency manager, he had the authority to sign the checks to himself. The appeals court says there's enough evidence that Blackwell acted improperly to try him. Blackwell was appointed to fix Highland Park's finances in 2005, by then-governor Jennifer Granholm. Wayne County Prosecutor Kym Worthy says she's pleased with the appeals court decision. Michigan has very stringent rules that prohibit building on environmentally sensitive dunes. Developers say it is possible to build on dunes set back from the shoreline without harming the view, or causing other environmental damage. 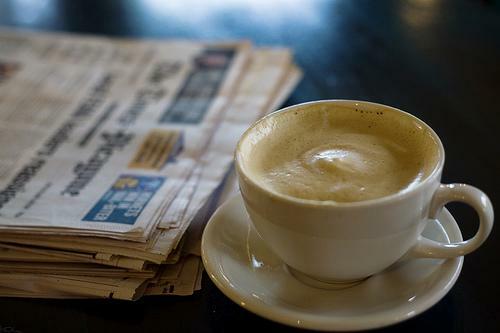 The measure to relax those rules stalled just before the Legislature took its summer break, but negotiations continue in an effort to break the impasse. James Clift is with the Michigan Environmental Council. He says there may be some room to relax the rules, but he says the state needs to ensure the Great Lakes shoreline is protected. Clift says the dunes are a draw for tourists, and also serve as habitat for rare or threatened species. Commentary: Charter Schools, Going too far? There something I’d like to ask the Emergency Managers of the school districts in Muskegon Heights and Highland Park. Simply, are you sure you know what you are doing? Have you thought this through, not only from the point of view of your district, but in regards to the future of education and the state of Michigan? What I am referring to is the decisions by both superintendents to turn their entire districts over to charter school systems. In other words, to essentially privatize education. Now, there is no doubt that Muskegon Heights is in bad shape financially. Highland Park to charter all its schools in the fall--only way to save the district? Another Michigan school district in deep financial trouble will be turned over to a charter operator for the coming school year. The emergency manager of the Highland Park Public Schools announced the plan Monday. Joyce Parker says the district will likely start the next school year with a roughly $15 million deficit, and only about 800 students. Highland Park School Board member and union activist Robert Davis was indicted last month on charges of theft by federal prosecutors. They accused Davis of stealing more than $125,000 from the ailing Highland Park school district. Today, more details emerged from the indictment. Robert Snell of the Detroit News reports on "newly unsealed federal court records" the paper obtained. The records allege Davis controlled a bogus nonprofit group, "Citizens United to Save Highland Park Schools." The feds say Davis used the group's bank account for "an $84,000 spending spree at car dealerships, hotels, bars, restaurants and a custom-clothing store." The financial information was included in an FBI search warrant affidavit requesting permission to raid Davis' home in Highland Park last year. The affidavit does not specify which car dealerships were patronized. But Davis paid a St. Clair Shores dealership $21,450 for a used silver Mercedes-Benz CLK320 coupe in May 2009, according to the Secretary of State. That's at the height of the time Davis was stealing money from the school district, according to federal prosecutors. The sixteen-count indictment says Davis stole the school district's money between 2004 and 2010. If convicted, he faces the possibility of 10 years in prison on each of the counts of the indictment. Davis made headlines before the indictment was made public by successfully winning a court battle against the state's financial review teams for violating the Open Meetings Act. Davis has maintained his innocence and his lawyer did not offer a comment on the newly unsealed records, telling the News he had not seen them yet. The Detroit school district has stepped in to help make sure the Highland Park public schools stay open for the rest of the school year. But there are still plenty of questions about what happens after that. The state had to advance Highland Park money last week, or the district would have gone broke. And the state did—but with the provision that the money couldn’t go to the Highland Park school district, per se. At the beginning of the year Governor Snyder appointed an emergency manager, Jack Martin, for Highland Park public schools. Shortly after that Martin was “de-activated” from the position. And now it’s unclear when he might be reinstated. 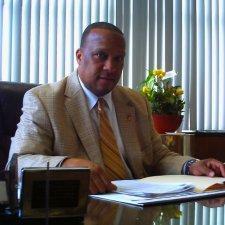 Democratic Senator Bert Johnson represents Michigan’s 2nd District, which includes Highland Park. Governor Rick Snyder has signed a law that allows students in Highland Park to transfer to another district or charter school now that the Highland Park district has run out of money. The Legislature approved the measure Thursday. The Highland Park school district could not meet this week’s payroll, although at least some teachers still showed up for work. The new law allows several hundred Highland Park students to make a mid-year transfer to another district or a charter school, paid for with a $4,000 state grant. It’s not known how many students and their families could or would take the opportunity. Highland Park schools were under the control of a state-appointed manager, but the manager had to step down after a judge ruled the review team that recommended a state takeover violated Michigan’s open meetings law. It will be next week before the governor can re-appoint the emergency manager. After that, the new law also allows the emergency manager to use the per-student stipend to pay another district or a charter school operator to hold classes in Highland Park schools. The Highland Park school board has cleared the way for Governor Snyder to quickly re-appoint an emergency manager. The board chose not to appeal the state’s finding of a financial emergency in the district. It was the second time a state review team made that finding. 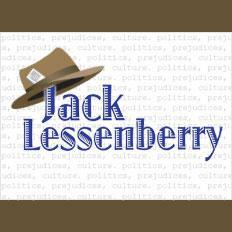 But the emergency manager Governor Snyder had already appointed, Jack Martin, had to step down to comply with a court ruling that voided the appointment process.